Yesterday, when I made dinner, we went back and forth over sodium and soy sauce and pork and all that fun stuff and I kind of went from making one thing to the next. 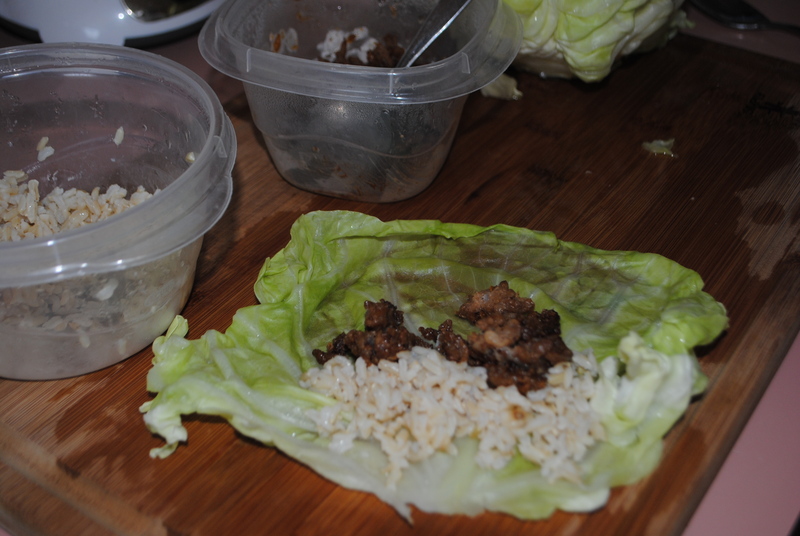 I tried to as gracefully as I could and I ended up with a korean pork and brown rice and it was absolutely delicious. The pork had SO much flavor it could have been paired with styrofoam and I could have annihilated it. I simply browned the pork in my cast iron pan and then added the ingredients and gave it a thorough stirring and let simmer for a few minutes. I used a recipe that had included beef and a lot more salt, but I cut a few sodium corners and I after eating this, I am happy because I think it would have been far too salty for my taste if I had decided to keep the original amounts of soy sauce and added salt on top of it all. No, I don’t think is an actual Korean dish, it’s my spin on Korean. Since I have been trying to keep our grocery bills lower, I decided that I would reuse the pork and rice today to make dinner tonight. 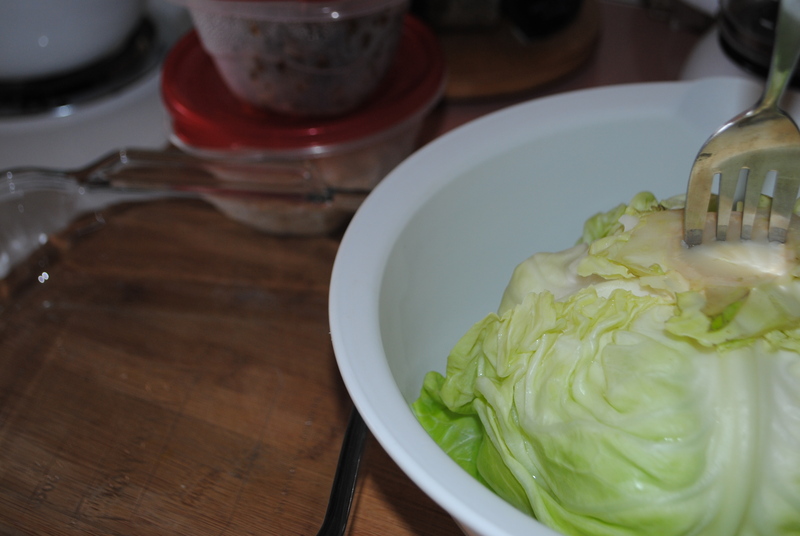 The only addition is cabbage, which we had actually had as a steamed side last night. So, basically, all tonight’s meal is made of is the recipe I mentioned above, spooned onto a cabbage leaf with left over brown rice. I do recommend that if you try this at home, you boil the cabbage for a few minutes prior, let cool and then peel the leaves off. The leaves will come off very easily and they will not break. 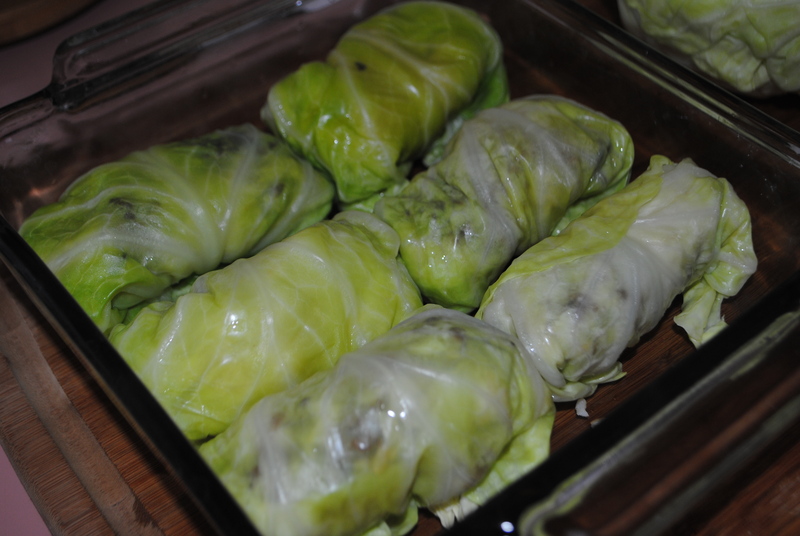 Just cover with aluminum foil and bake for 25-30 minutes. This was actually pretty fast and easy, considering my oldest was throwing balls at me and my youngest was behind me, falling into chairs, with his shirt pulled up around his head for a portion of it. Am I the only one who finds the smell of cooking cabbage absolutely salivating? This entry was posted in Food and tagged brown rice, cabbage, dinner, eat, family, food, healthy, low sodium, lunch, meal, pork, veggies by themcdorkins. Bookmark the permalink.